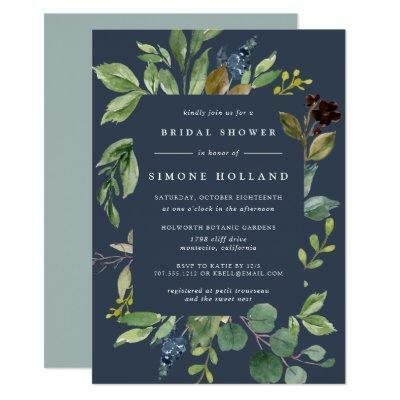 Elegant botanical bridal shower invitation frames your bridal shower details with a border of watercolor eucalyptus leaves, blue flowers, and green foliage. Personalize with your event details in white on a smoky blue background. Invitations reverse to solid sage green.